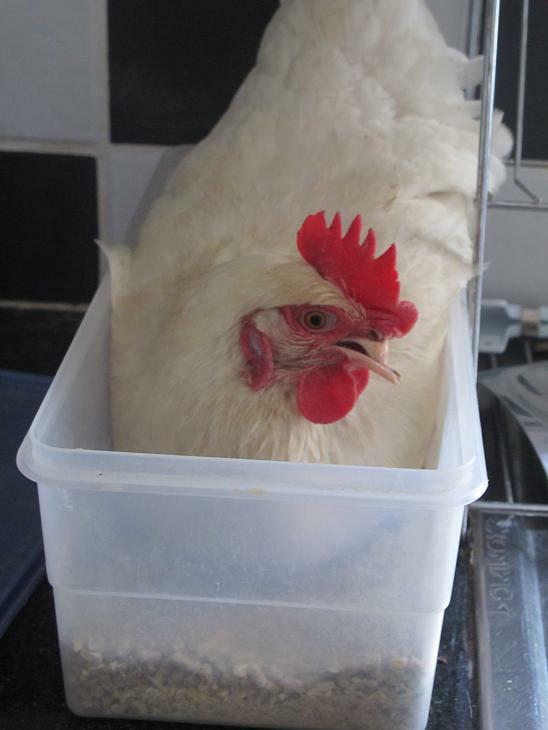 This is our lovely Cinderella laying her morning egg in this teeny tiny tupperware. Our spacious comfy laying boxes don’t cut it! Note Cinderella’s very damaged beak. This is from having a portion of her beak seared off with a burning hot blade at 2 days old. No anaesthetic. This is standard procedure for battery hens to stop them cannibalising each other in their crowded small cages for the next year of their sad lives. A cruel practice to combat more cruelty. Cinderella has this gorgeous gravelly voice. Sadly this is the case, as she cannot close her beak at all. Cinderella has been so badly mutilated that her sinus structure was damaged, causing repeated sinus and eye infections as a chick. Luckily she seems to be coping now. Stop eating eggs! 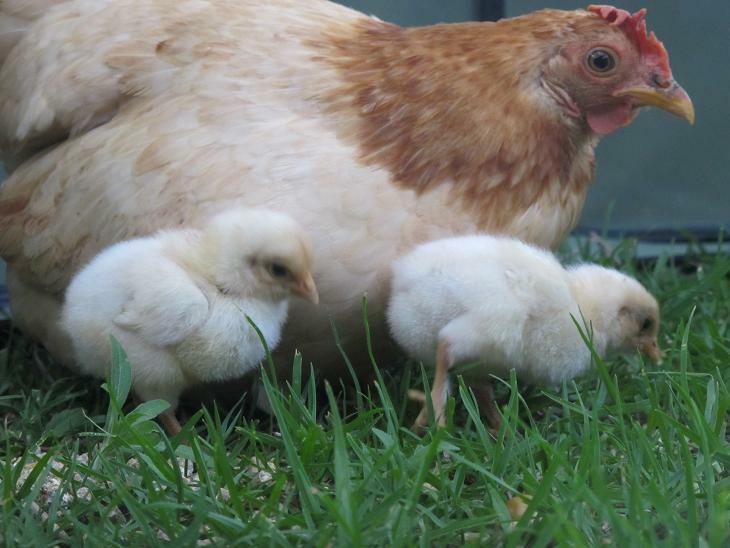 We do not let our chooks breed, as there is an overwhelming strain on already overloaded system. 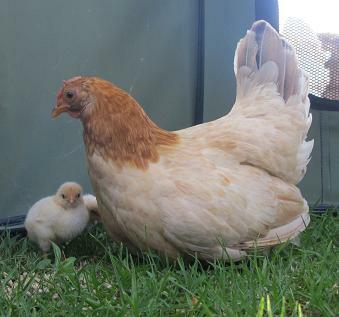 However, this broody hen at the sanctuary hid her nest and eggs, until it was too late for me to risk taking eggs away. The result was these two cuties! In the photos they are a week old. This is the reality! 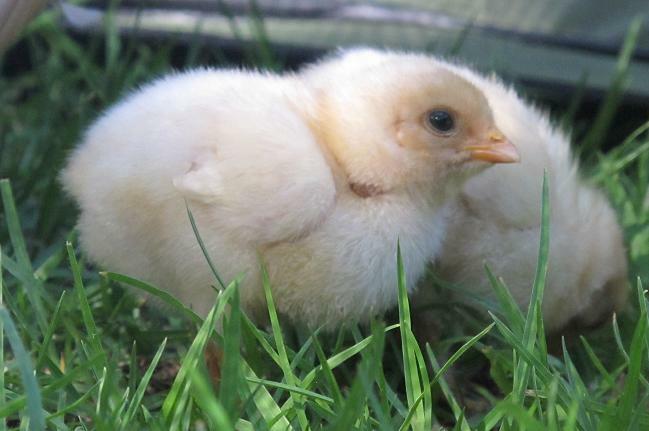 Well well done to this organisation for getting live feed on these chicks 24/7. 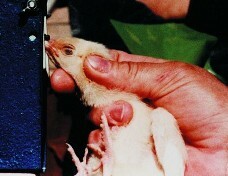 Do not support battery laid eggs – this is what you are supporting and responsible for continuing this cruelty. Although this is Israel, South Africa is no different. Last year I was privileged to rescue Galhinia who was being plucked alive. See her story on this link below. Last Friday I was due to leave for Cape Town early in the morning. Galhinia clearly not well. Family went ahead to CT and I stayed behind to get her to a vet. She was put on a course of anti bios. I was reticent to leave, however my wonderful sister who is an animal rehabilitator agreed to nurse her for the weekend, and knowing that she was in such good hands I was able to go. I was aware that it may have been the last time I saw her, but also felt hopeful that the anti bios would kick in, and I would be fetching her to go home at the end of the weekend. I remember every detail of me leaving, I made sure I had a lasting pic of her in my head. I got updates all day Friday. She was sleeping, eating a little, drinking and getting loads of cuddles. Early Saturday morning Galhinia;s body temp started dropping. My sister wrapped her in a towel and hot water bottle and went to sit in the garden under a tree with a magnificent view of Jozi. It took about 5 minutes and Galhinia died in her arms. It was peaceful, and quick from Friday morning to Saturday Morning. I miss her so much already. She had left a huge hole in my day, but has also made space for another rescue chook who needs some TLC and the opportunity to be a free hen. I focus on what I can do, and not what I cannot. 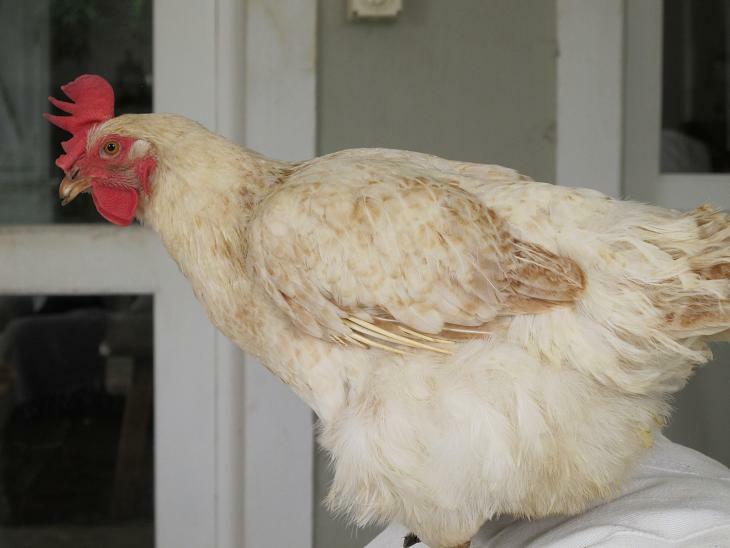 Galhinia must have been just over 2 1/2 years, which is not bad for an ex battery hen, who suffered so much abuse. I know that in every interaction with her throughout our 15 months together, I was absolutely present in every interaction with her. The memories of her smell, the feeling of her plucked body, and then feathered body against my face such a strong memory. She brought such joy to our lives.